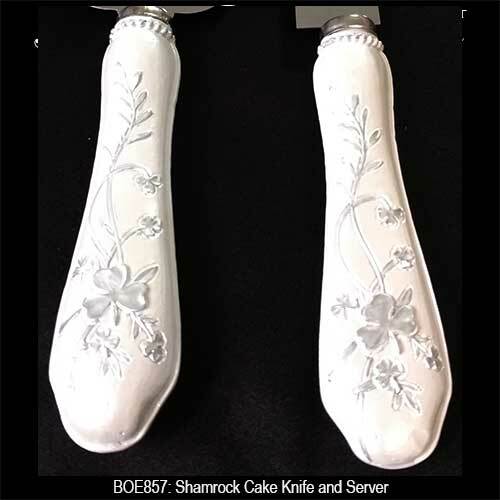 This Irish wedding cake server and knife features embossed shamrocks on the handles. This shamrock cake knife and server set features a delicate shamrock design on both sides of the resin handles. 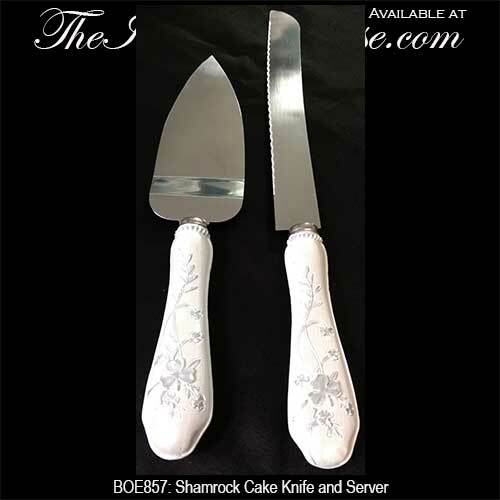 The shamrock cake knife is 12 1/2" long with an 8" long stainless steel blade and the shamrock cake server is 10" long with a 5 1/2" long stainless steel blade. The Irish wedding cake server set is gift boxed with a shamrock history card that is complements of The Irish Gift House.